South Korea stopped and eliminated the Gilas Pilipinas in the quarter finals of the FIBA Asia Cup 2017, 118-86. It was a real blowout by the South Korean team. 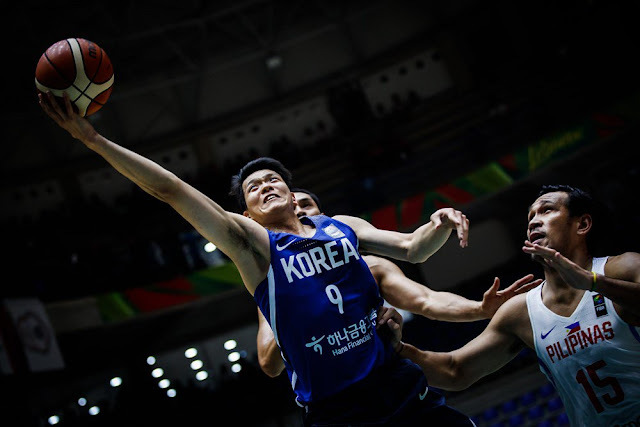 Sunhyung Kim led the South Korea with 21 points, 3 rebounds, 4 assists with 3 steals. The South Korea team had been outstanding in 3 points with 76% and inside with 62%. Gilas was now eliminated and now scheduled to face the Lebanon team for the 5th Place. Philippines – Romeo 22, Standhardinger 17, Pogoy 12, Castro 11, Aguilar 7, Wright 6, Jalalon 5, Abueva 2, Almazan 2, Fajardo 2, Cruz 0, Norwood 0.